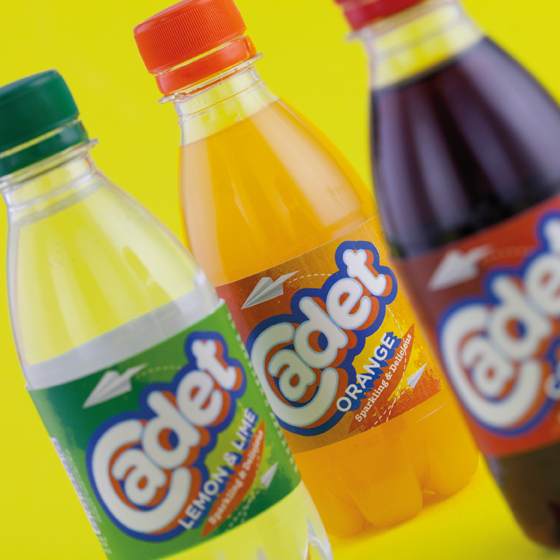 Cadet is a classic soft drink that Ireland grew up with and is regarded fondly and with great nostalgia by many. That said, the brand needed a facelift which we undertook in tandem with updating its labelling to conform to the new Food Information Regulations. Soft drinks packaging design for younger markets needs to be a celebration colour, movement, playfulness and fun. By way of including a nod to the brand’s nostalgic appeal and a play on its name, we included a paper aeroplane to inspire all the little cadets out there. 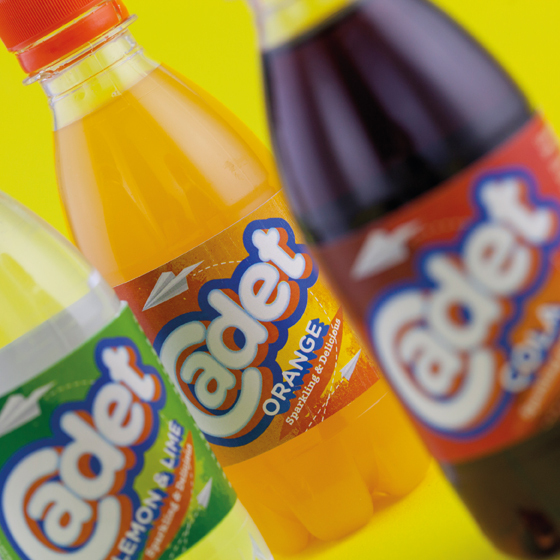 The new design was rolled out across the full range of seven flavours; orange, cola, lemon, lemon & lime, white lemonade, red lemonade, and American cream soda.